Dear Parents, thank you so much for your support year after year with this Festival. Although it’s 10 weeks of hard work by the children and by myself, they benefit hugely and thoroughly enjoy their performance at Theatr Clwyd! Last year only 12 primary schools were represented out of 72 in Flintshire. What an honour therefore that we are willing to give your child that experience! The show is around 90 minutes long and sadly, as it’s a professional set up, the option to leave early is not really possible, unless by prior arrangement with the theatre. Although I would love 31 children to take part, may I remind you however that the performance is not compulsory. Should you wish, for whatever reason, that your child does not take part, then I’d like to know by the end of the week please. Every single child in Y5 is enthusiastic about this performance because of the “twist” I’ve put on it this year – they can’t wait! They also know I do not wish to put financial pressure or otherwise on anyone. I do not belong to the Friends of Ysgol Estyn page on Facebook, so I couldn’t respond to comments made there this evening. 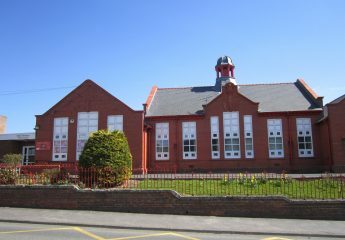 All information for Y5 is posted by myself via Twitter, ysgolestyn.com or directly to parents on the Y5 ClassDojo account – I have sent numerous invites for parents to join! Parents are welcome to contact me there or directly through my school email – merryp@hwbmail.net. I am very contactable and reply quickly. Should I not hear by this Friday, I will assume that you are OK with the arrangements, as I’m not prepared to pull a child from a routine after that, as it will greatly impact the other children and their hard work, which to be quite honest is unfair. Full information has been posted to our ClassDojo account. Performance on June 20th @ 6.30pm. Strictly first come, first served!